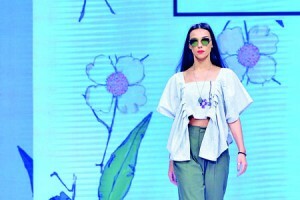 Leading eye care solutions provider Vision Care launched its latest sub-brand ‘Fashion Frames’ at the recently concluded HSBC Colombo Fashion Week (CFW), providing a wide variety of contemporary and stylish frames and sunglasses for designers who presented their collections at CFW. Vision Care has also appointed an expert team of ‘Fashion Advisors’ at select outlets, to help clients select the most suitable frames and sunglasses. “Through this exciting new launch, we hope to be able to position designer frames and sunglasses as an essential and integral part of fashion. We look forward to helping ardent followers of fashion and keen eyewear enthusiasts to find their perfect picks and matches, together with our expert team of advisors,” Harsha Maduranga, General Manager, Vision Care said. 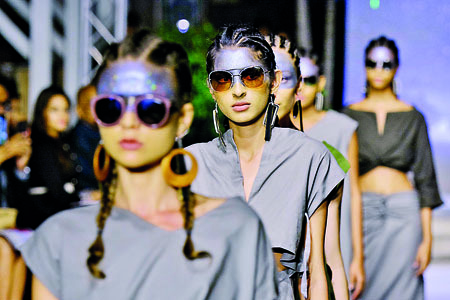 This was the sixth consecutive year that Vision Care participated at the Colombo Fashion Week.